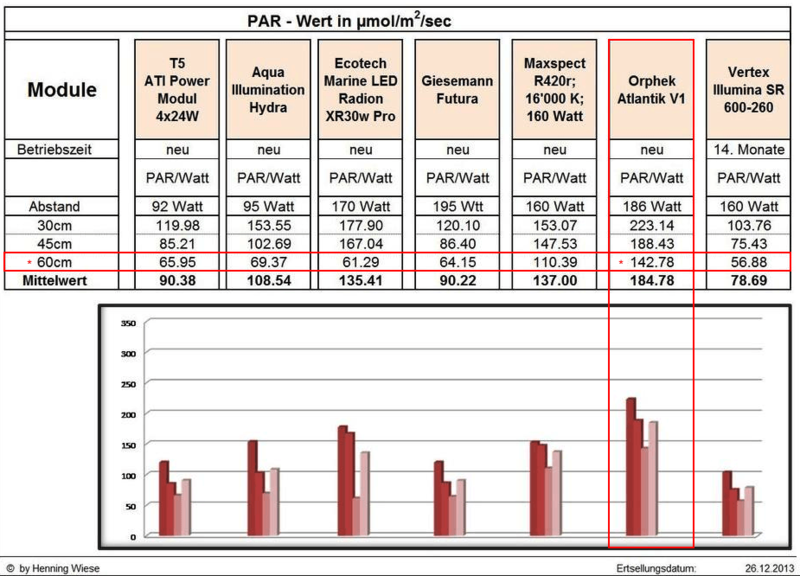 Orphek makes the most efficient lights on the market today and unlike many other companies, Orphek employs dual-chip technology to increase lumens and PAR per watt as well as the production of chlorophyll A and B for coral growth and sustainability. The newly designed Orphek Atlantik v2.1 is truly one of a kind and stands out from the rest with a Highest PAR and PAR per Watt, it is certainly in a league of its own. 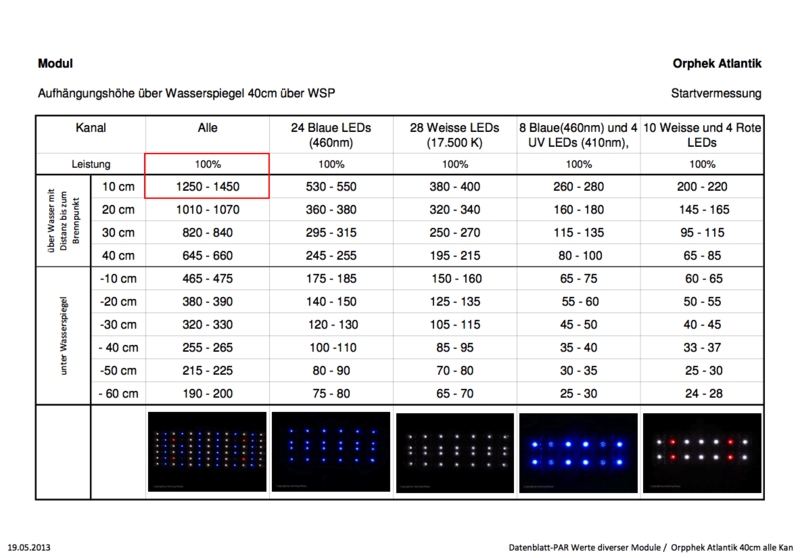 19 dual-chip Wide spectrum White UV/violet LED’s , Total of 97 Chip ! to create a revolutionary fixture that will change your reef forever. 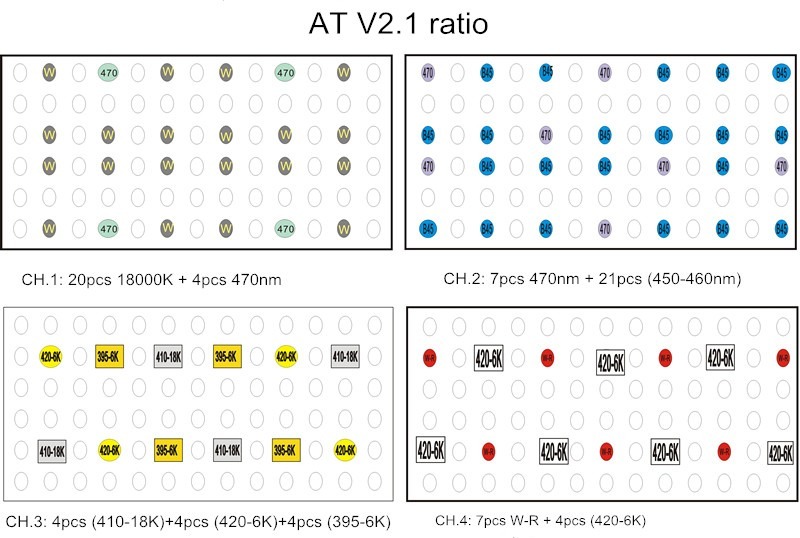 make a white LED with a peak at 395nm, 410nm, 420nm and at 430nm to supply corals directly with chlorophyll A and B, enhancing health and coloration. The 3rd channel consists of (4) 410nm-18,000k, (4) 420nm-6,000k and (4) 395nm-6,000k) LED’s for a full spectrum of perfection. 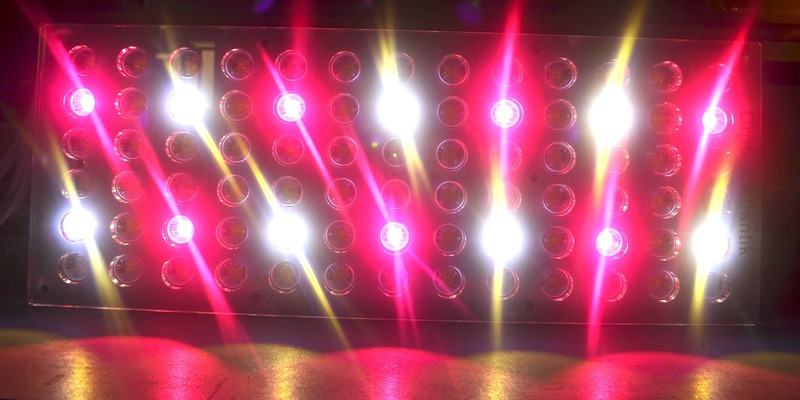 Channel 4 applies a mix of the dual-chip UV/white with dual-chip white/red which consists of (7) white/red LED’s and (4) 420nm-6,000k LED’s. Adding red brings out the natural tones of corals as well as providing coral with the much needed chlorophyll A and B but not so much to inhibit the growth of certain algae’s and cyano. with Orpheks precision LED lighting. Our main goal is to supply the most precise lighting to ensure the satisfaction of our clients and the longevity and growth of any living organism. Custom lighting is made to order and we have the ability to create and understand specific spectrums to fit your needs. ** Credit For PAR TEST to Mr. Henning Wiese – all right reserved.